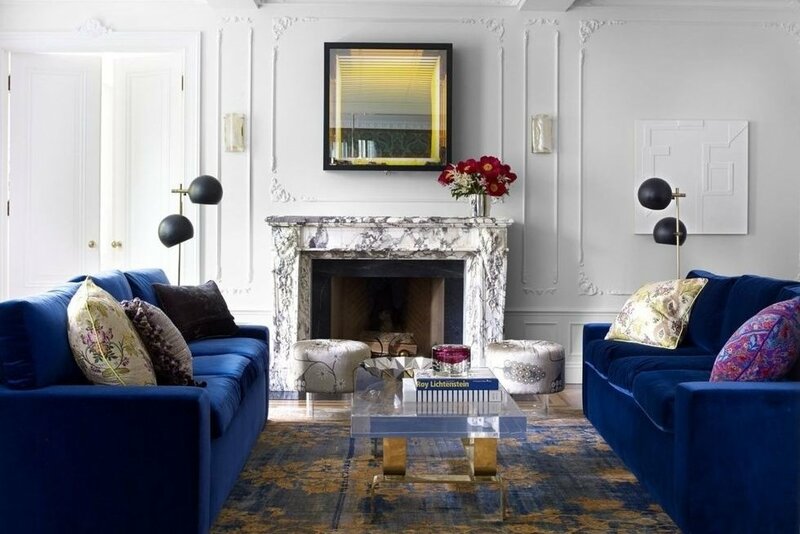 Mixing bold velvets and dip-dyed drapery, this designer knows how to create beautiful and wildly original interiors. Fawn Galli's eclectic work is deeply rooted in her erudite and international background. The designer grew up in California and then went abroad to Paris and Madrid. She came back to New York to work in European furniture at Christie's. "I draw from all of these influences," says Galli. She cites the nature of rural California, the refined decorative detailing of Parisian architecture, and the artistic and cutting-edge energy of New York as sources of deep inspiration. Fawn started her career working for design legends like Robert A.M. Stern and Peter Marino. She then launched her own business in 2007. Since then, her original work has been featured in Architectural Digest, Elle Decor, Domino, House Beautiful and 1stdibs. 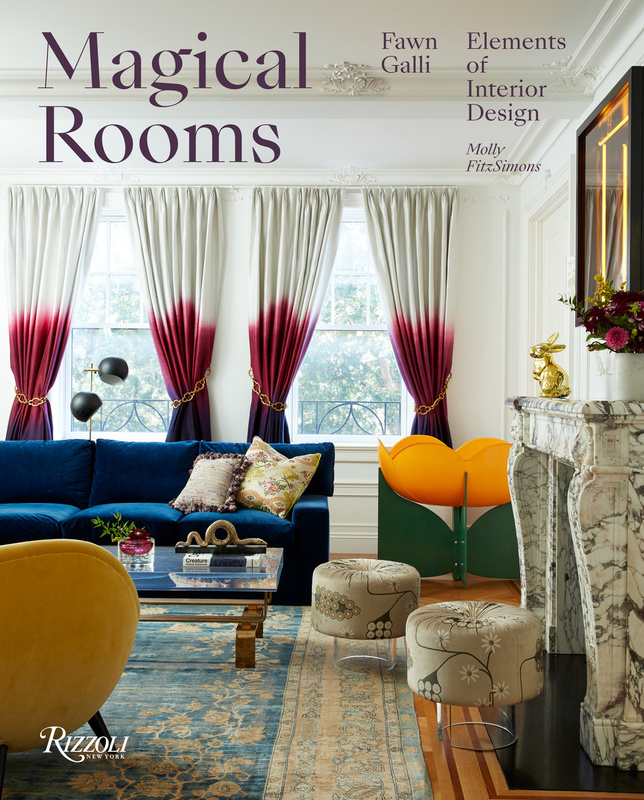 Below, we took a closer look at three of our favorite projects by Fawn Galli Interiors. Galli designed this beautifully layered apartment for a fashion designer, a scientist, and their young family. For the design-savvy owners, Fawn artfully pulled references and mixed textiles from the 18th Century with contemporary pieces. The result: a stylish and wildly original space that speaks to the personality of the family who lives there. Fireplace Mantel: Westland London "Louis XVI Fireplace Mantel in Breche Violette"
This luxurious Central Park apartment was created with a family in mind. "When Fawn walked in, she said, 'Milanese apartment with that old-world-meets-mid-century mix, even referencing the Villa Necchi Campiglio, and that was it,'" recalls the owner, referring to the home featured in the 2009 Luca Guadagnino film I Am Love. 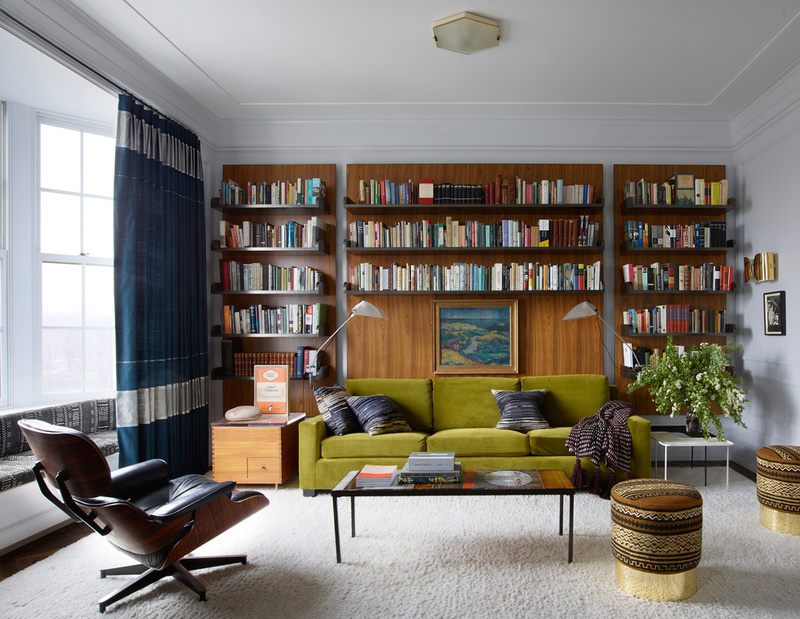 The space built for this literary family is both interesting and functional. A hallmark quality of Galli's work. Coffee Table: Glazed Tile Coffee Table by Roger Capron from Off The Wall Antiques, L.A. According to Galli, "This is the house of fun times." This New Jersey home was designed with parties and playdates in mind. The decor is centered around sports and activities with a polished point of view. The scheme relies on a spirited mix of color with pops of contemporary geometrics. It is both fun and functional for a growing family. To see more of Fawn's gorgeous work, you can pre-order her new book here.